Item is an inexpensive box camera made of fiberboard and covered with imitation leather. 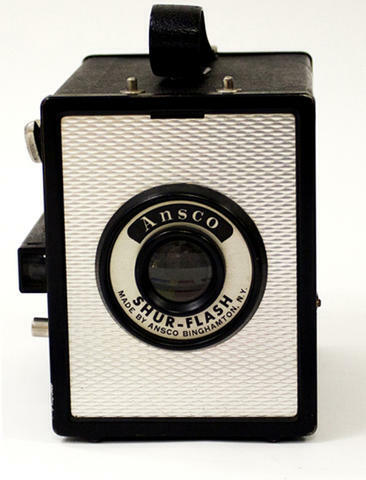 The camera has a Gallileo-type viewfinder only (no brilliant viewfinder), flash contacts, and a single speed shutter that is fast enough to accommodate bulb flashes. It used 120 size roll film.